Support from prison culture and staff. Zoukis says he has seen that in some cases, prison guards and other staff members discourage education for inmates. “Prison education won’t work unless we have institutional commitment to ensure a culture of support for education in the state and federal prison systems,” he says. 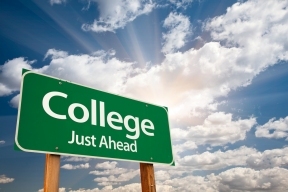 GED programs, vocational training and access to college courses all need to be promoted. Prison authorities need to prohibit guards and prison staff from refusing to grant release from work details to prisoners enrolled in any educational or college program, Zoukis says. Eligibility for Pell grants. Prisoners should again be made eligible for Pell grants and other need-based student financial aid, Zoukis says. Inmates were banned from using Pell grants in 1994, but President Obama has announced a pilot program in which a limited number of prisoners would be able to use the grants beginning in the fall. That’s a start, but Zoukis wants to see that eligibility become more widespread. Christopher Zoukis, author of “College for Convicts: The Case for Higher Education in American Prisons” (McFarland & Co., 2014) and “Prison Education Guide” (Prison Legal News Publishing, 2016), is a leading expert in the field of correctional education. He is the founder of www.PrisonEducation.com and www.PrisonLawBlog.com, and is a contributing writer to The Huffington Post and Prison Legal News. He is incarcerated at the medium-security Federal Correctional Institution Petersburg in Virginia.